The original Math BINGO! Over 1 Million Players! - Ranked number 1 educational app for 3 weeks straight! - Ranked a top 50 education app for over 3 years! The object of Math BINGO is to get a pattern of five BINGO Bugs in a row by correctly answering math problems. 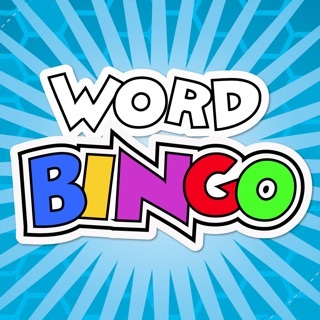 -Collect and play with BINGO Bugs when you earn a high score! 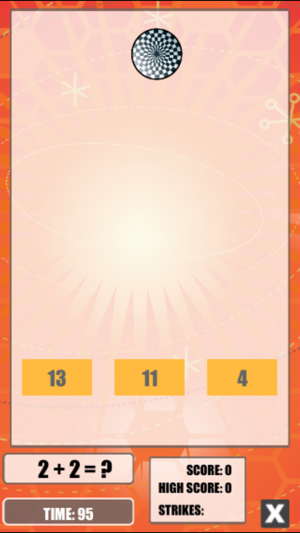 The object of Math Bingo is to get a pattern of five Bingo Bugs in a row by correctly answering math problems. 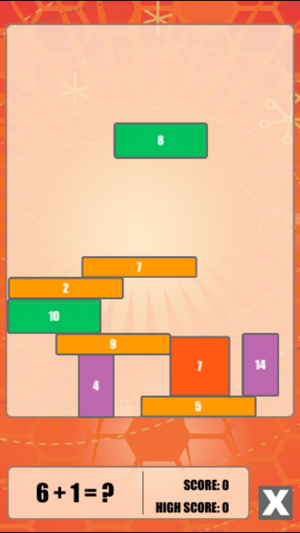 Math problems are presented at the top of the game screen. Feedback is presented at the bottom of the game screen. Correct solutions to problems answered incorrectly will be displayed. The score in Math Bingo is determined by the time to complete a game plus a two second penalty for each problem answered incorrectly. Math Bingo saves player information with custom player profiles. Each player profile consists of a unique name (up to 20 characters) and a fun cartoon avatar. The player profiles display total number of games played, total number of high scores achieved, and total number of Bingo Bugs collected. The guest profile does not store any information and therefore cannot achieve high scores or collect Bingo Bugs. The guest profile is useful for adults who want to play Math Bingo without their scores going into the scoreboard. 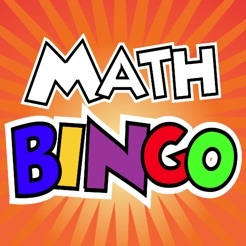 There are five different games in Math Bingo: Addition, Subtraction, Multiplication, Division and Mixed. Players will be prompted to select a game type before game play. Selecting a Level There are three levels of game play in Math Bingo: easy, medium, and hard. Players will be prompted to select a game level before game play. Score Board Math Bingo displays high scores in the Score Board. There are four different Score Boards: addition, subtraction, multiplication and division. Each Score Board displays the top three scores for each level: easy, medium, and hard. Bingo Bugs are rewards for achieving a high score. A player who earns a high score will collect a Bingo Bug! 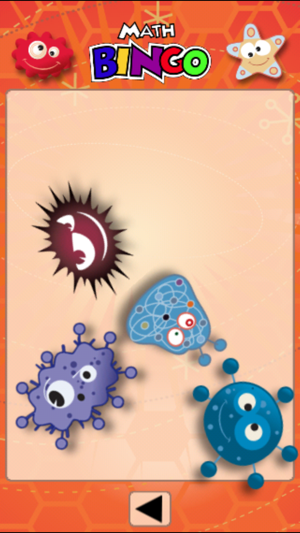 Players can collect a variety of Bingo Bugs and interact with them by tapping the Bingo Bug button in the player profile or by tapping the My Bingo Bugs button after playing a game. 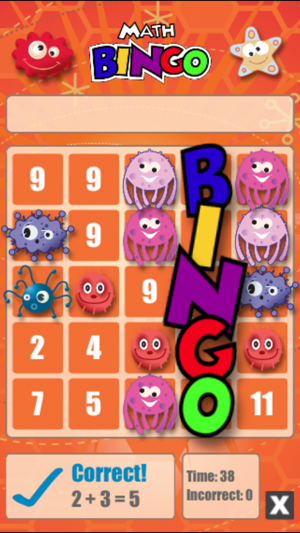 HINT: Tilt your device to make the Bingo Bugs move around, tap on a Bingo Bug to make them giggle and spring! The settings menu can be accessed by clicking the information button on the lower right hand side the introduction screen. The settings menu will allow you to reset all high scores and to delete player profiles. Thanks for making ABCya's Math Bingo such a huge hit for the past 7 years! This version has been optimized for the latest iOS devices. How is this game so amazing!!! I love this game. My child was struggling with math, but when I found this game she thought it looked fun so she tried it and she wouldn’t give me my phone back. 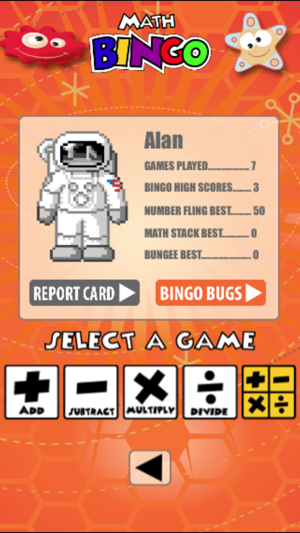 We are beyond happy to know that Math Bingo has helped improve your math skills! Our goal is to continue improving Math Bingo and ABCya for our motivated and kind users...LIKE YOU ☺️ Keep up the great work and please let us know if there is anything we can help you with! We apologize for the issue you experienced. Downloading the app is free, you simply link the app to your Apple ID.